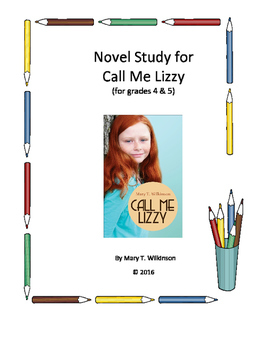 Novel Study for grades 4 & 5 over the inspirational novel by Mary T. Wilkinson titled Call Me Lizzy. 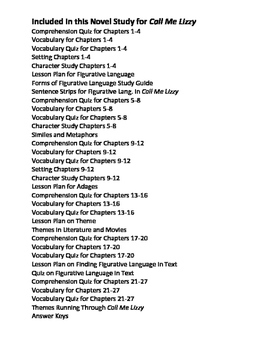 Includes Comprehension Questions, Setting and Character Studies, Vocabulary development, and teacher lesson plans on Figurative language and Theme. All of these are tested on Common Core Standards. 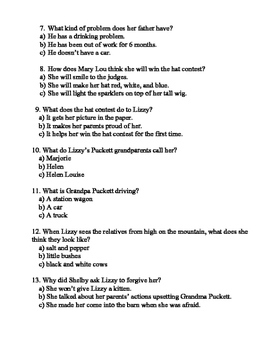 An answer key to all questions is included in this novel study which tests over 4 chapters at a time.